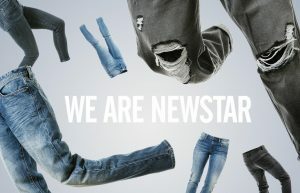 Preston-based Newstar Garments Group has launched a new website with the help of creative agency Absolute. Newstar, which has been designing and manufacturing denim for major high street stores for over 30 years, awarded the job to Bolton-based Absolute after a competitive pitch. The project also involved the development of a new strapline, ‘Denimheads, since 1985’, and a bold typographic style. Photography took place over two days, with a photo shoot at Newstar’s head office to capture the working environment, people and processes, and a second photo shoot at Absolute’s studios to put a creative spin on the products. Designed and built in Absolute’s core CMS, the new website has been built to enable Newstar staff to easily upload and update the content themselves. The site also integrates third party systems, such as Newstar’s careers portal, and uses a mobile-first approach to ensure users get the same experience wherever and however they access the site. Chris Hodgen, managing director of Absolute, said: “Throughout this project our main aim has been to showcase Newstar’s ethos, its people, passion and great environment to potential new recruits, customers and partners. Sarah Ainscough, from Newstar Garments Group, added: “Right from the start, Absolute took the time and effort to really get under the skin of our business. It was thanks to their understanding of our heritage and ethos that enabled them to create a new website for us which truly reflects what our brand is all about."